I used some stashed soft and furry Reynolds Frisky for the inside of the ears. A little pricey, but white angora will work just as well. A US 7 (4.5mm) circular needle worked fine with these yarns. 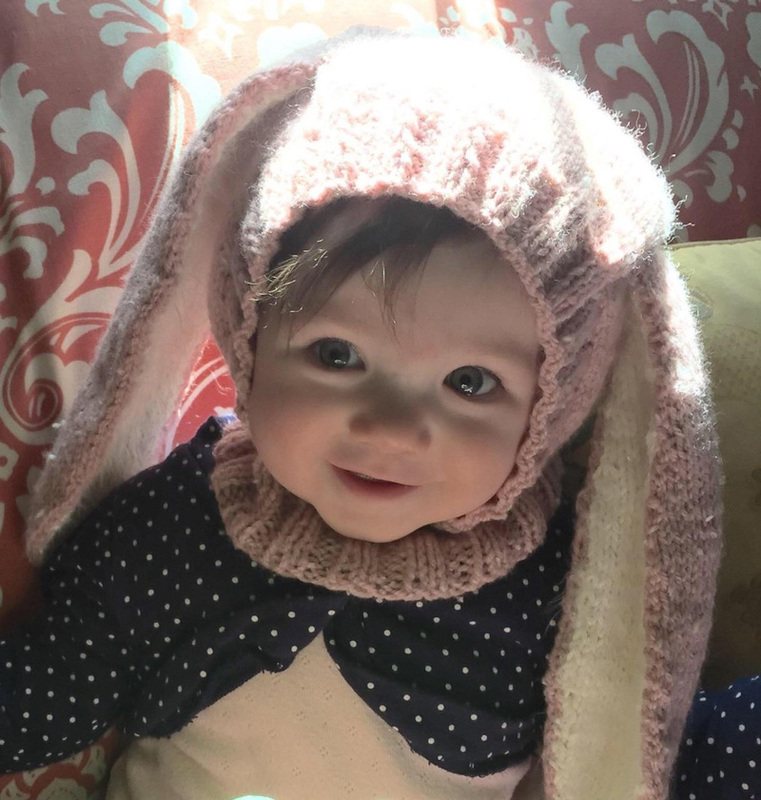 This adorable Easter bunny hat knitting pattern is written for DK and worsted yarns by Angie of Thistledew Fiber Arts. 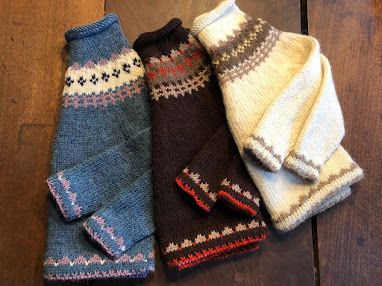 The 10-page pattern is well written with several explanatory knitting technique photographs. If you have any trouble, just message Angie. 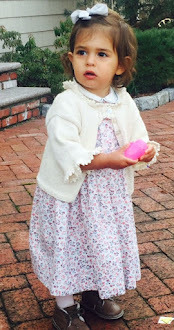 The designer has requested that the pattern be used for personal use only. 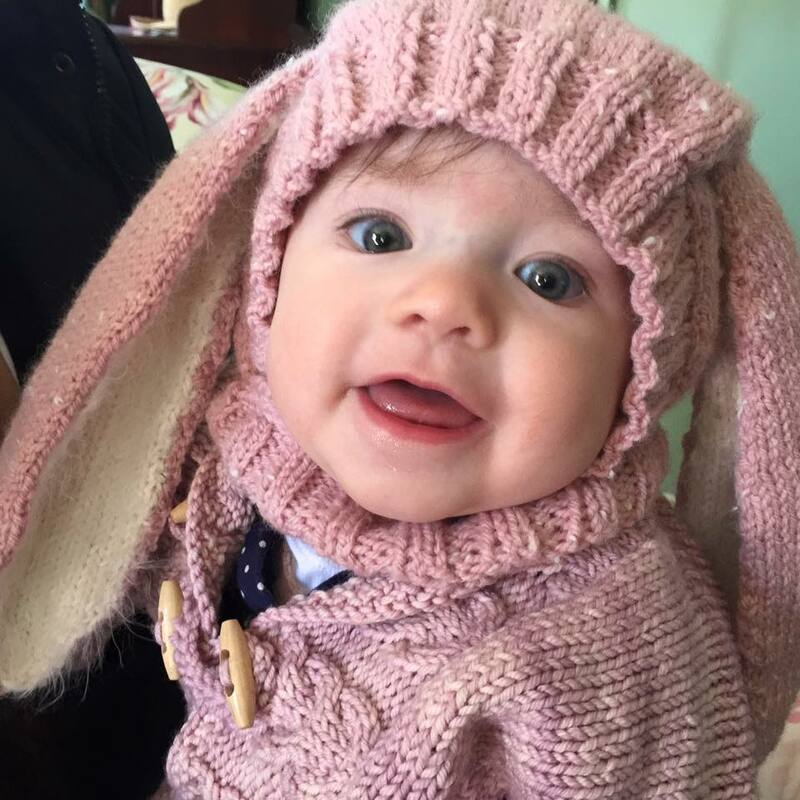 Funny Bunny Hat Pattern link.